Overjoyed to be in the United States, Emily realized that as a 15-year-old with a 6th-grade education who spoke little English, it was time to get to work. Francis enrolled in school and took supplementary summer and night classes while working part time and helping at home. Within three years she placed out of ESL and earned the credits to graduate. Though she had already taken photos in her cap and gown, Francis was tripped up three times by a statewide American history exam, and didn’t receive a diploma. “I walked out in tears because I had failed. I didn’t know there were options besides taking the test again and I didn’t know where to turn.” Francis said. It took several more years to find a way forward. After relocating to North Carolina, she learned about GED programs and enrolled at Rowan-Cabarrus Community College, graduating in just a few months. While working toward an associate degree—and longing to be a teacher—Francis applied for part-time work with Cabarrus County Schools. 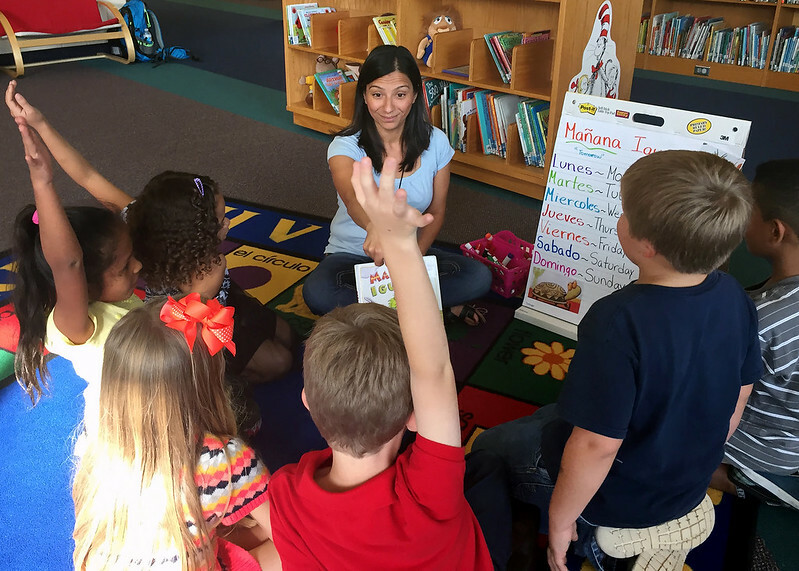 Francis believes that love for the classroom and an “intervention from on high” in the form of an instant connection with first grade English teacher Angie Power landed her the position. Power agrees. At first, Francis was both scholar and teacher at Mt. Pleasant Elementary School, working on her own language skills while helping around the classroom. UNC Charlotte has produced more than 50 Teachers of the Year since 2015. While her interactions with students resonate over the course school day, some of Francis’s classroom magic begins after the final bell. Often dedicating unpaid personal time, she connects with parents and teachers to chip away at cultural divides that can hold students back. Her workshops for ESL parents focus on acclimating to the American educational system and uncovering opportunities for student support. We should take the long view in rethinking the way we train teachers, explains Cato College of Education Dean Ellen McIntyre. Charlotte-Mecklenburg Schools partners with UNC Charlotte to develop an untapped talent pool through Latino Principals Program. Curious how a UNC Charlotte alum made it into the national spotlight? Watch the full clip of Emily Francis’ appearance on the Ellen DeGeneres Show.